Filmmakers see catchy titles for their films as a sure way of projecting their heroes into a larger-than-life image. Dhanush has acquired the title rights of almost all the films of Rajnikanth, which includes ‘Mannan’ as well. CHENNAI: In the recent times, there have been many conflicts popping up in terms of titling the films. In the past 6 months, the filmmakers and producers were involved in pettifoggeries in terms of registering the titles. On the pars, few other celebrities gestured on counteraction, which indeed has gained more publicity for the low-budget films as well. Director Lingusamy was supposed to direct Silambarasan in his next film titled Vettai . However, Lingusamy replaced Simbhu by Arya due to creative difference of opinions between them. 2 days after Lingusamy and producer Dayanidhi Azhagiri officially launched the film’s title as Vettai , Silambarasan instantly titled his film as Vettai Mannan . This film is directed by Simbhu’s associate Nelson and is produced by S.S. Chakravarthy. Similarly, director Bala first wanted to title his upcoming film as Avana Ivan (a famous comedy liner uttered by Vadivelu very often in his films). But it was already registered by director Bharath and he never accepted to give away the title.&nbsp; Apparently Bala chose a closer title Avan Ivan and the film’s shooting is close on the heels of completion. Director Ameer got the title of Aadhi Bhaghavan for his next film that features Jeyam Ravi in lead role. Again, there happens to be a low budget film, which has been titled as ‘Bhaghavan’. 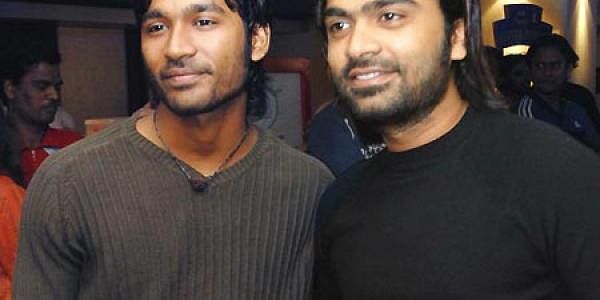 Well in the case of Simbhu, the actor had two reasons for titling his film as Vettai Mannan . One being his clash with director Lingusamy and another fact is Dhanush has acquired the title rights of almost all the films of Rajnikanth, which includes ‘Mannan’ as well.